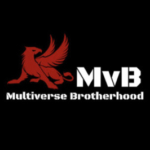 Home – Multiverse Brotherhood – AlterVerse Inc. When the Multiverse was founded many did not understand its nature or true potential. People quickly began giving into greed hoping to make a quick profit off its creation. Most others did nothing, for they had no idea what this Multiverse would become. During these dark and confusing times, ten Kings rose to power and united. They created a brotherhood with one mission, to find the Monolith and restore order to all worlds. As their power grew they decided to organize themselves further, into three distinct and prestigious Orders. These became known as the Orders of the Pen, Shield, and Hammer. Each Order attended to specific tasks within the brotherhood. The Order of the Pen was generally known as the brain of the MvB, these members were extremely intelligent in many different fields. The Order of the Shield became the highly trained and disciplined army of the MvB, upholding MvB values and protecting its secrets at all costs. Lastly the Order of the Hammer was created to forge weapons, armor, and items using only the purest forms of enjin known to mankind. Only the most talented weapon smiths, armorers, and developers were invited. The MvB invasion has officially begun. The gaming revolution starts now!